Individual Arizona Tuition Tax Credit Information: There is a way to help students at the American Indian Christian Mission and receive a substantial TAX CREDIT for you at the same time. 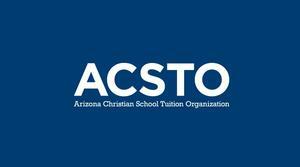 Make a donation to the Arizona Christian School Tuition Organization (ACSTO) and claim that donation. About Donations: If you are someone who pays Arizona income taxes, you are able to make a donation to ACSTO and claim that donation back as a tax credit. This credit will reduce your income tax liability for 100% of what you donate, up to the maximums allowed for the current year. If the taxpayer has actual Arizona state income tax less than the maximum allowable, the available credit in a given year is limited to the actual tax. ACSTO uses your tax credit donations to award tuition scholarships for students attending our partner schools. Because of you, hundreds of families, who otherwise couldn't, have been able to afford to have their children experience a foundational Christian education! In order to participate in this program, you just need to fill out a form, and send it to ACSTO. We can send you an ACSTO brochure for Arizona residents that already designate AICM as the recipient. The needed form is included in the brochure. Just call AICM at: (928) 537-5912 or email: executivedirector@aicm.org and request a brochure. Or, you can go to the ACSTO website: www.acsto.org and click on the “Contact us” tab, then select “Literature” and then “Donation Card or Full Donation Brochure” to print out a form. If you use their website you need to designate AICM as the reciprocate school (put American Indian Christian School or AICM on the “School” line – the “Student Recommendation” line does not need to be filled out”). You can also find the needed Arizona Tax forms on their website (under: “For Donors” and then “Tax Credit Forms”). Or the ACTUAL TAX, whichever is less. If you accidentally give more than the actual state income tax due, the tax law allows a carry forward to offset future taxes for up to five consecutive years. The tax forms you use to claim the credit are also used to track any carryover. For the past several years, we have received money for student tuitions through Arizona Christian School Tuition Organization (ACSTO) and claim that donation. Arizona residents can direct a portion of there State Income Taxes to help Christian schools. Now, non-Arizona residents can also participate. You can give a tax deductible donation to ACSTO which uses those funds to award scholarships to AICM students. You just need to fill out a form, designate AICM as the reciprocate school and send it to ACSTO. Put American Indian Christian School or AICM on the “School” line – the “Student Recommendation” line does not need to be filled out”. We can send you an ACSTO brochure for non-Arizona residents. The needed form is included in the brochure. Just call AICM at: (928) 537-5912 or email: executivedirector@aicm.org and request a brochure. Or, you can go to the ACSTO website: www.acsto.org and click on the “Contact us” tab, then select “Literature” and then “Out of State Donation Brochure” to print out a form. Thank you for considering this way to help the students of the American Indian Christian Mission. ​To visit ACSTO website, please click on the image below.